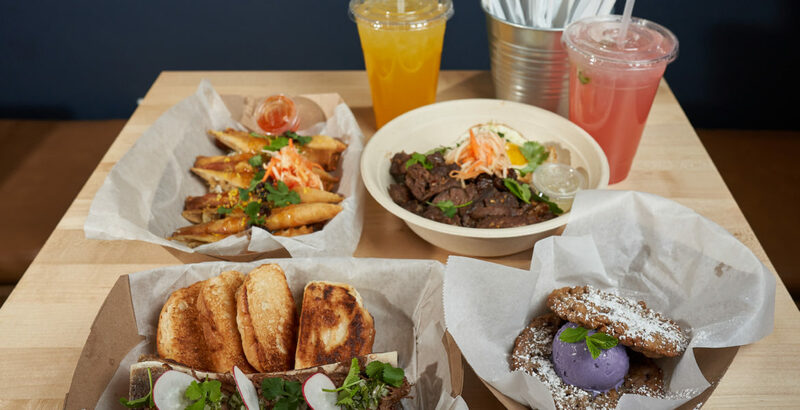 LOS ANGELES’ list of restaurants serving Filipino-influenced dishes continues to grow with the latest addition of Ord & Broadway in Chinatown. At the helm of the kitchen is Chef Getty Lustre whose training comes from fine dining establishments like Patina and Redbird. Meanwhile, co-owner JP Modesto brings his expertise as an owner of several businesses and real estate investor. The two first met years ago during their side gigs as DJs. “We would just joke around like, ‘Hey, when are we going to open a restaurant?’ That’s how it pretty much started,” recalls Modesto. That idea soon came true when a family friend presented Modesto with the opportunity to take over the existing Wings ’N Fish. Instead, he decided to start anew and brought Lustre on board. 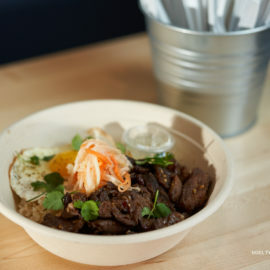 As the name suggests, the location is between Ord St. and Broadway in the center of Chinatown, with places like Far East Plaza (which houses favorites such as Howlin’ Ray’s and LASA) and the iconic Philippe the Original within walking distance. 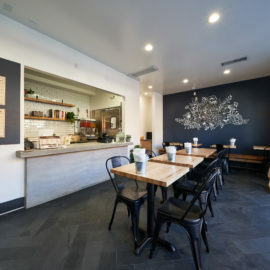 “LA is filled with so many great restaurants and we like the fact that we are in Chinatown because we can connect with what’s already here but introduce something new,” Modesto says. The location, which can hold 24 seats at most, was turned over to them in November of last year. Ord & Broadway officially opened this past January 12, offering lunch and dinner service seven days as a week. 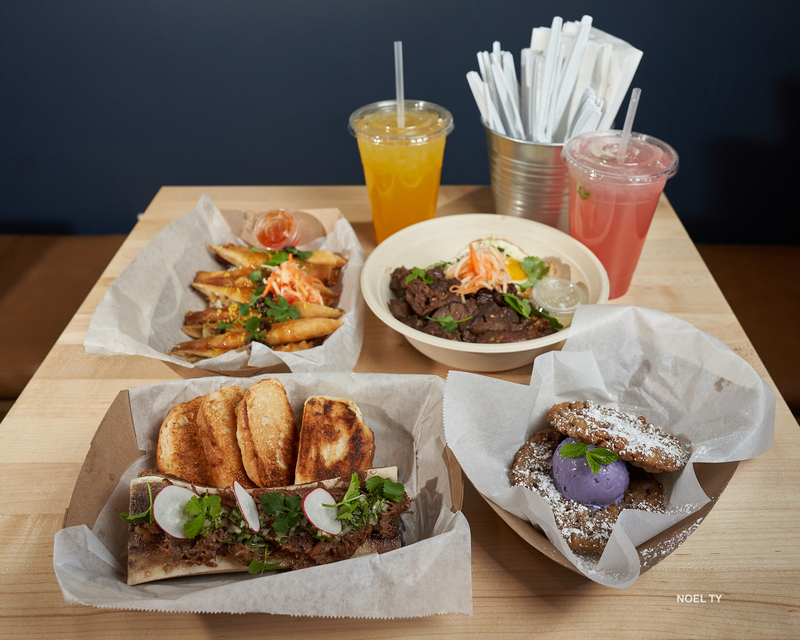 Lustre designed a menu with Filipino comfort dishes — from tapsilog and lumpia shanghai — based on what he ate growing up, his parents’ recipes, and the experiences he picked up during his professional career. 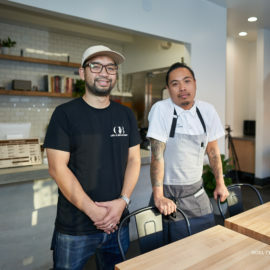 Contrasting his fine dining past that focused on intricate details and techniques, Lustre sees Ord & Broadway as a place that feels more comforting and is a continuation of the pop-ups he would hold at his own house seasonally. “I like being in the kitchen,” he says. 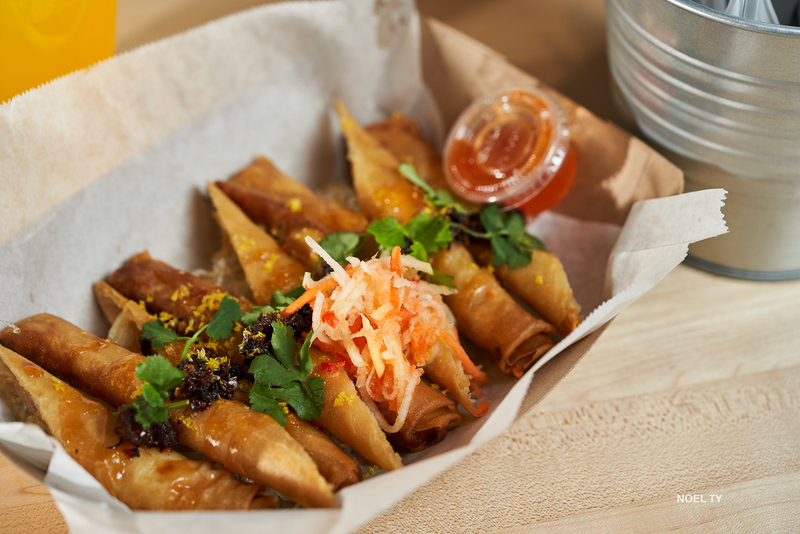 “It’s the only thing I know best and I like messing around with new ingredients.” He hopes the Filipino dishes evoke memories of having a home-cooked meal by a relative. 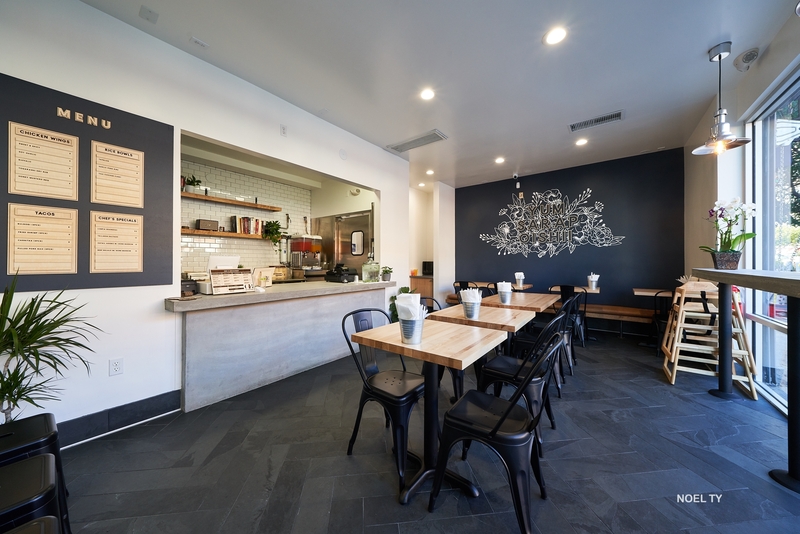 Though there has been a growing awareness of Filipino food locally and across the country for those previously unfamiliar, Ord & Broadway recognizes that but sees its fast-casual service as a brief introduction to Filipino flavors and how they fit into the greater LA culinary landscape. Dishes are also presented at more affordable price points in the $9-14 range. 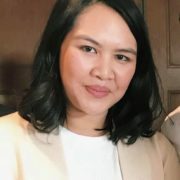 “A lot of the Filipino restaurants coming up now draw in a lot of foodies and those familiar with the food but there is a niche that’s missing for the everyday people who are not so adventurous. 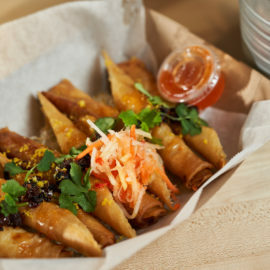 They get drawn in for other things but end up trying other Filipino dishes as well,” Modesto says. 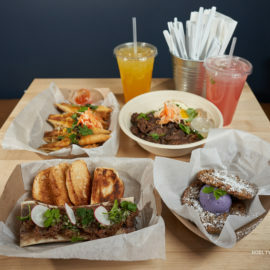 Ord & Broadway is not limited to Filipino dishes, however, as tacos — from carnitas to one like a pulled pork bao — and five flavors of chicken wings occupy a space on the menu as well. 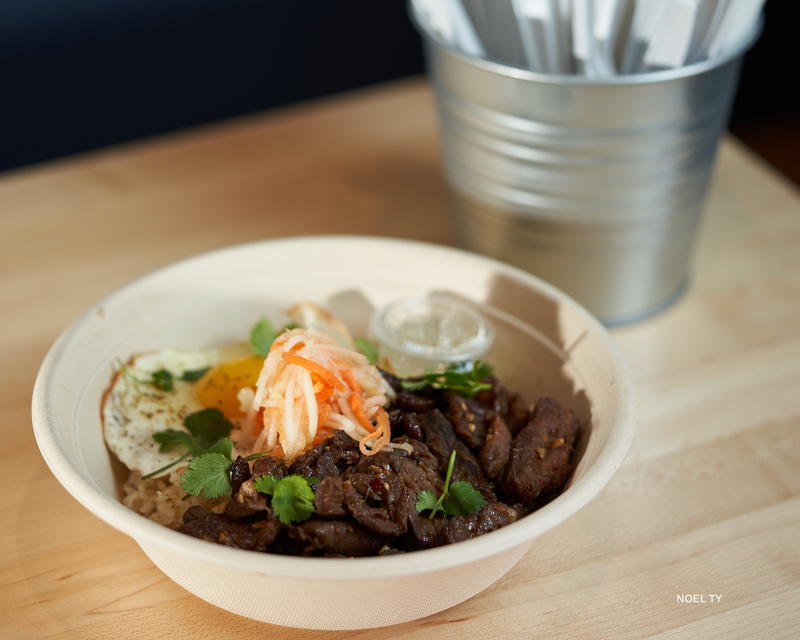 The rice bowls go beyond tapsilog with garlic pork ribs or Thai chicken curry. “The way I see it, the menu is LA cuisine,” he adds. 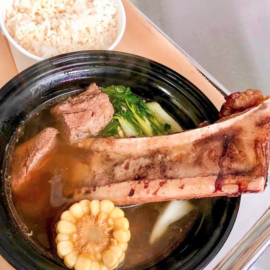 Not to miss under the Chef’s Specials are the oxtail adobo with bone marrow served with toasted pandesal or the beef bulalo with the marrow sticking out of the bowl. 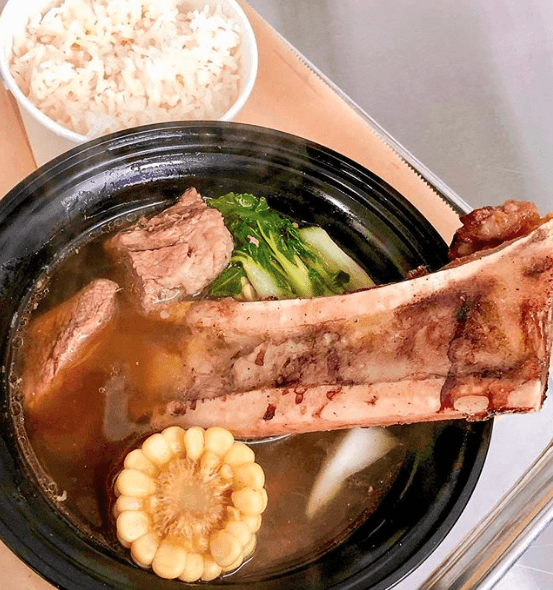 The casual presentations of bone marrow in these two dishes have attracted the curious customers to Ord & Broadway in the few weeks that they’ve been opened. 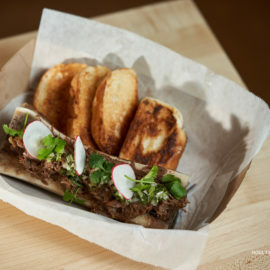 The oxtail adobo dish itself easily makes the spot stand out and is enough to pay a visit there. (Though the portions are sufficient for eating solo, it’s recommended to go with someone to get a sampling of multiple items). 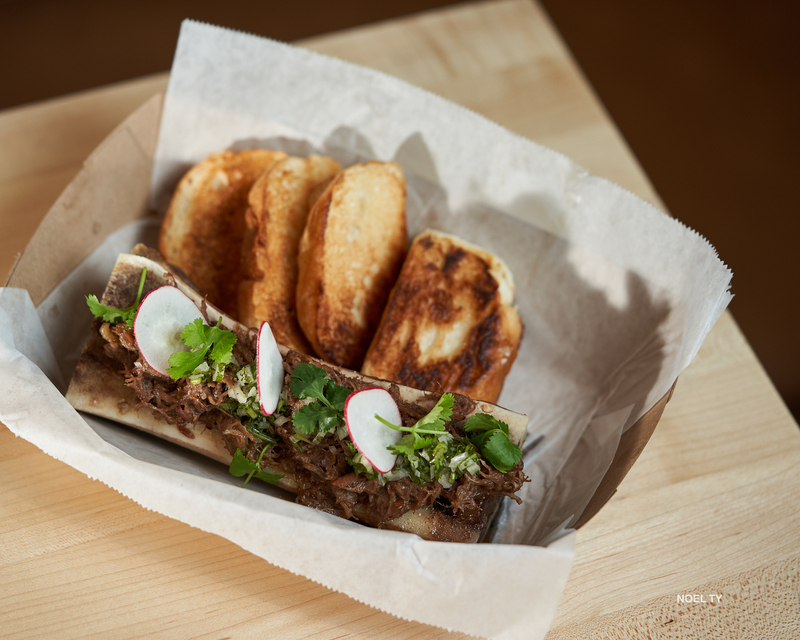 “I wasn’t sure how familiar people were with bone marrow, but lately since we’ve opened, we’ve been getting orders for the oxtail from different ethnic groups too. 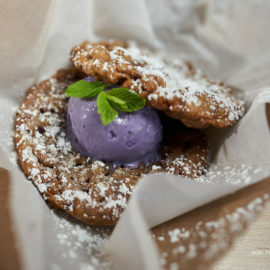 They’re open to tasting something new,” Lustre observes. 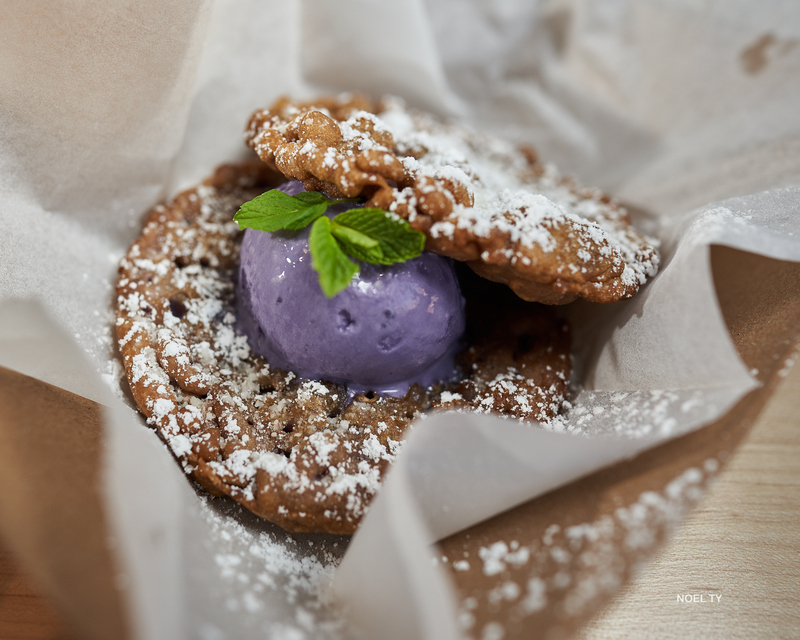 The dessert option is only limited to the ube funnel cake ice cream sandwich at the moment, but it’s worth saving room for — especially when hot and newly assembled. Everything pairs well with either the peach passion or strawberry lychee beverages. 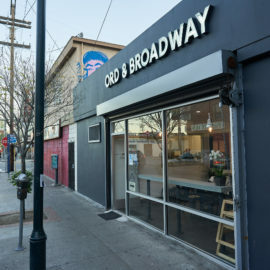 As their one-month mark approaches, both Lustre and Modesto assert that Ord & Broadway will be here for the long haul. 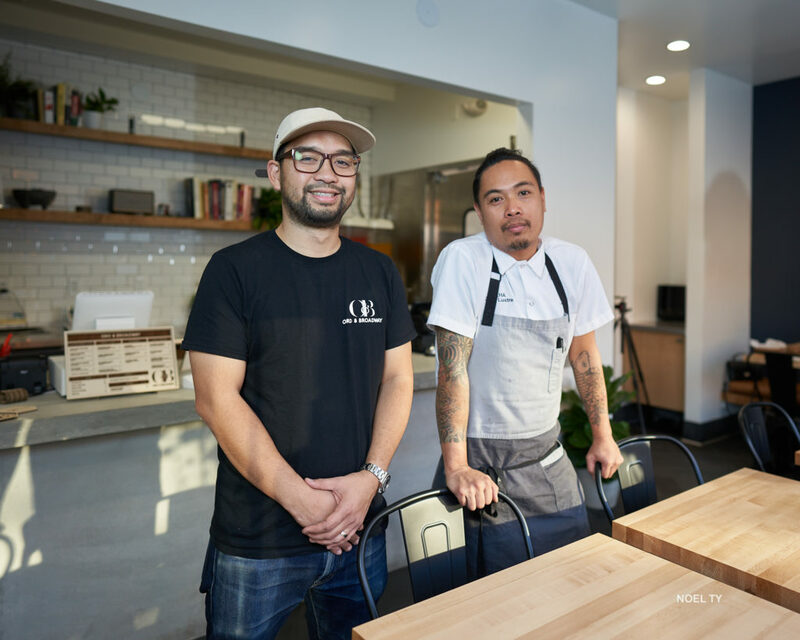 The pair is eyeing pop-up dinners and participation at special food events in LA, but for now, it’s about polishing their operations and expanding the menu. “We don’t want to grow too fast because we want to perfect and make sure we push out really, really good food and that everyone enjoys their visit,” Modesto says. Ord & Broadway is located at 304 Ord St. Los Angeles, CA 90012. 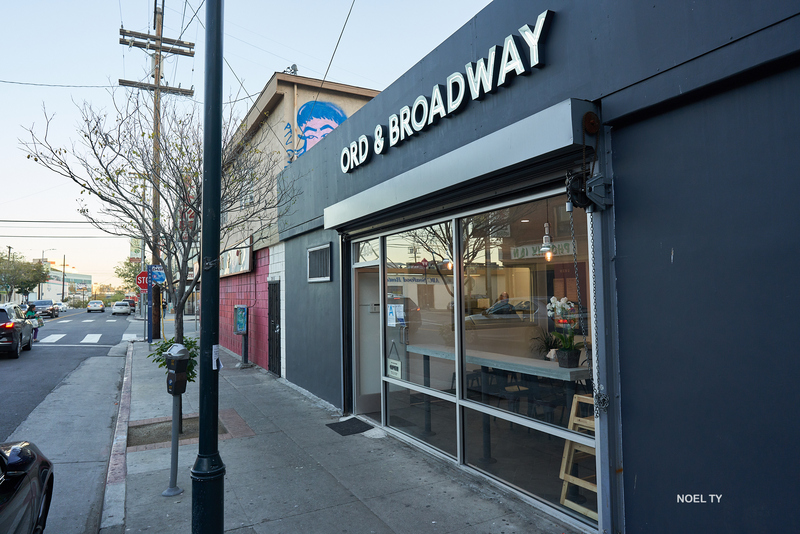 Hours are Monday to Saturday 11a.m.-9 p.m. and Sunday 11 a.m.-7:30 p.m. Find them on Instagram at @OrdandBroadway.